Cambodia went through a very dark 20th century. After being under French rule, the country was at war with Vietnam, bombed by the US and suffered from millions of death under the Khmer Rouge. The Democratic Kampuchea period (1975-79) under Khmer Rouge control is an horrifying part of history which led to the loss of 25% of Cambodia’s population. This event being only 40 years ago, a large part of the population has suffered from the atrocities of Pol Pot’s regime. Our Tuk Tuk driver during our visits was a kid when it happened but still had vivid memories of this period. He’s the only member of his family who survived. You can hear countless of these stories when you talk to people over 40. Phnom Penh is a good place to try to understand this tragedy. 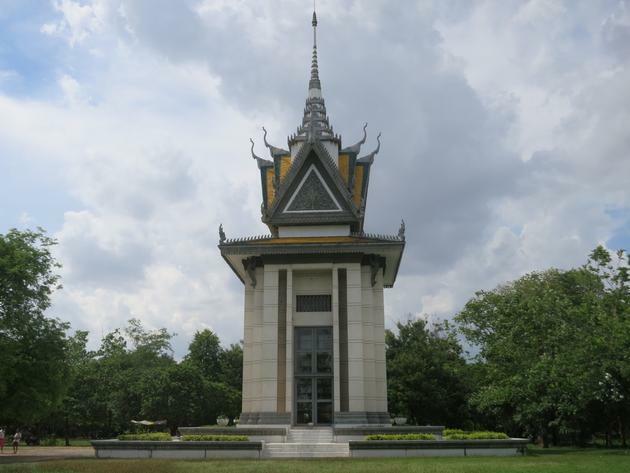 Although visiting the Tuol Sleng Genocide Museum and the Killing Fields make for a depressing afternoon, you shouldn’t miss it. 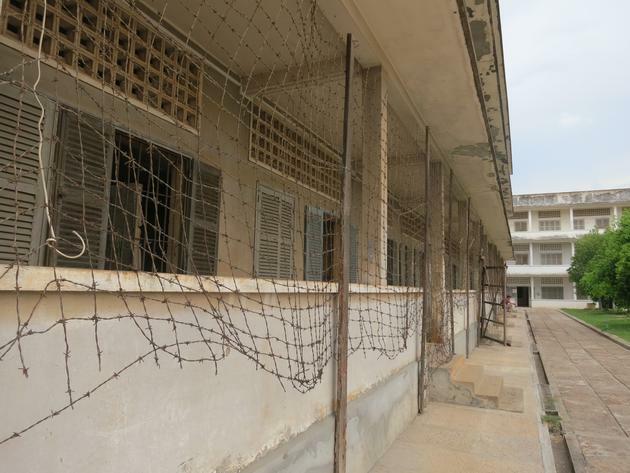 The Tuol Sleng Museum has been created inside the former S21 Prison, the biggest during the rule of the Khmer Rouge. Thousands of people were locked, tortured and executed in what was an high school. 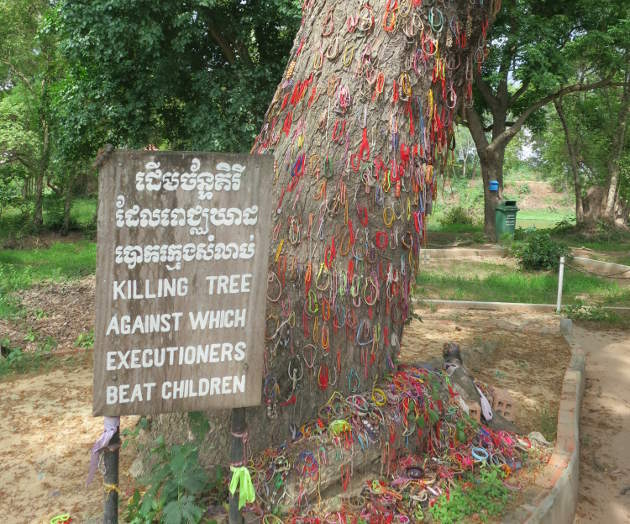 The Killing Fields of Choeung Ek are one of the saddest place I’ve been to. It used to be the place where prisoners were executed. Up to 300 people were killed each night: children, men and women without distinction. Visiting these places shed light on the darker side of humanity. Although, I don’t think I will ever understand the craziness of Pol Pot’s clique, being aware of these events is invaluable to understand today’s Cambodia.